79 Original Artworks curated by Rebecca Wilson, New This Week 10-22-2018. Original Art Collection created on September 10, 2018. 3,137 Likes, 26 Comments - Saatchi Art (@saatchiart) on Instagram: "Take a break this Monday to see new hand-picked works on Saatchi Art. "New This Week" by Chief..."
Happy to have been included in this months ‘New This Week’ collection on Saatchi Art. Selected by chief curator Rebecca Wilson, the collection includes a variety of unique and interesting artworks. My painting, ‘Stack No.3’ is making an appearance which I’m delighted about. It’s a relatively new painting and it’s fantastic getting it in front of new audiences. It’s always great having the chance to get involved on the Saatchi Art community and I’m very grateful to have been picked. I have used Saatchi Art as a tool to promote my art for many years and in 2016 was chosen as a ‘One to Watch’ artist which gave me great exposure and garnered fresh interest. However, over the last few years I’ve struggled a little in direction and everything’s been a little quiet. So having this feature on Saatchi Art, albeit a small one, could well act as that all important encouragement every emerging artist needs. Thank you Saatchi Art, keep up the good work in promoting and supporting aspiring artists! Heinz Mack is such a fantastic artist, right up there with the greatest living artists. 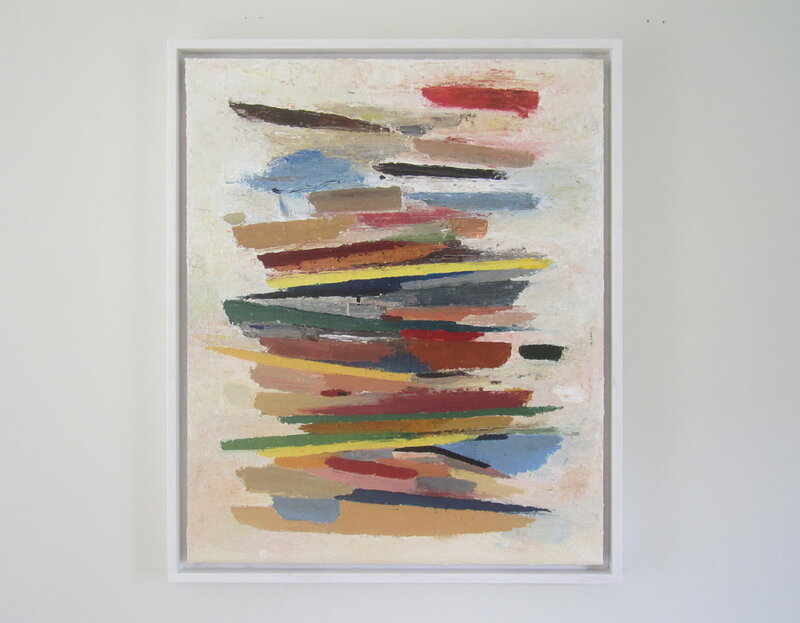 His practice is so varied but the key themes to his work are the use of light and colour as well as movement and the exploratory characteristics of particular materials. I’ve always admired his works, there’s something very philosophical and reflexive about them- both literally and metaphorically. Credit to curator Matthieu Poirier, it’s a beautiful insight onto the artist.